DIALOG still an uptrend stock, MACD at positive region. 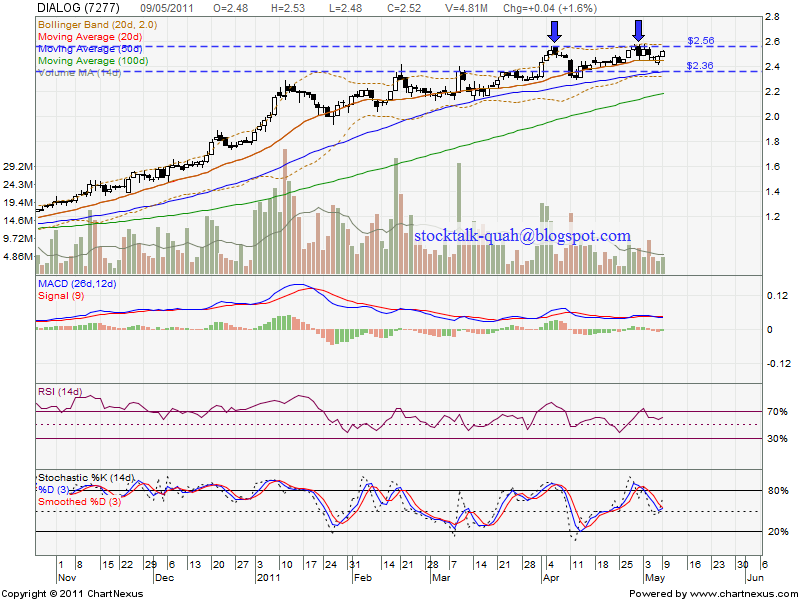 Current resistant RM2.56 if able break above this level with huge volume, it is a good entry opportunity. 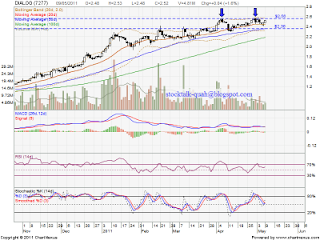 If retrace down, it might retest next support level, RM2.36 which also MA50 support level. Subsequent support level would be RM2.19 or MA100 level.